Jenny Shank is the author of the novel The Ringer (Permanent Press, 2011), which won the High Plains Book Award and was a finalist for the Mountains & Plains Independent Booksellers Association Reading the West Book Award. Her stories, essays, satire, and reviews have appeared in the Atlantic, the Guardian, the Washington Post, Prairie Schooner, Alaska Quarterly Review, McSweeney’s Internet Tendency, Poets & Writers Magazine, the Toast, the Rumpus, Barrelhouse, and The McSweeney’s Book of Politics and Musicals (Vintage, 2012). She is on the faculty of the Mile High MFA program at Regis University in Denver. When I was a kid growing up in Denver, I always used to enter the children’s writing competitions at the Tattered Cover, a bookstore that awed me with its three floors of books. I never won, and it was hard not to, because they awarded dozens of prizes for each contest. The story I remember best was the last one I entered before I aged out of the competition, in a contest for the scariest Halloween story. We’d been dissecting frogs in my biology class, and the horrifying part was that the frogs were still alive—just knocked out—when we cut into them, because our teacher wanted us to see how their circulatory systems worked. I decided the scariest possible thing that could happen would be for the frog to wake up during this procedure and see me there, operating on him. I wrote my story from the perspective of the frog. I was pretty proud of it and I thought, “This is it. This is the story that’s going to take me all the way to the honorable mention.” Of course it was not to be. But I kept writing, and eventually I published my first novel, The Ringer, set in my hometown, and had my book launch at the Tattered Cover, where the dear people of my past—family, friends, high school English and journalism teachers—turned out to cheer. Colorado has often been a boom and bust state, attracting outsized characters prone to “dreaming the large Western dream of easy money, of a fortune kicked up somewhere in the hills—an oil well, a gold mine, a ledge of copper,” as Willa Cather wrote in The Song of the Lark, a novel that begins in the fictional town of Moonstone, Colorado. Many of the greatest moments in Denver literature are set amid the down-and-out times between gold strikes, and the Denver most often portrayed in books is a rough-edged place, which is in part why it can feel like the city just doesn’t get any literary respect. At the same time, few people are aware of the vibrant literary scene in this metro area of 2.8 million residents, because Denver is a city that many people think of in terms of its proximity to the wilderness, those Rocky Mountains you can see from so many vantages around town. Novelist John Fante grew up in a hardscrabble Italian immigrant community in north Denver and couldn’t wait to light out for Los Angeles, a city with which he is more often associated even though the first several books starring his literary alter ego, Arturo Bandini, are set here. The great short story writer Katherine Anne Porter described Denver as a “western city founded and built by roaring drunken miners”—which probably explains why the drinking has continued to this day; Colorado boasts more than 300 licensed breweries. Denver appealed to Jack Kerouac when he wandered through precisely because it was so scruffy, populated with plenty of “sons of winos,” such as his Denver buddy Neal Cassady, author of the posthumously published memoir The First Third (City Lights Publishers, 1971) and the model for Dean Moriarty in On the Road (Viking, 1957) and Big Sur (Farrar, Straus and Giroux, 1962). More recently, Annie Proulx lived in a loft in the revitalized LoDo district, remembering her time here in her memoir Bird Cloud (Scribner, 2011) as “a year or two in a Denver apartment with a view of a Ferris wheel and a nutcase on the top floor.” I’m dying to know: Which Denverite was that nutcase? Denver plays an ominous role in beloved, late Colorado novelist Kent Haruf’s Plainsong (Knopf, 1999): Victoria Roubideaux leaves the ranch of the elderly McPheron brothers to go to Denver with the young man who impregnated her, finds the city terrifying, and quickly returns to the plains. It’s also where another character heads when she abandons her husband and sons. “Mother, are you going to be all right in Denver?” one of the little boys asks. 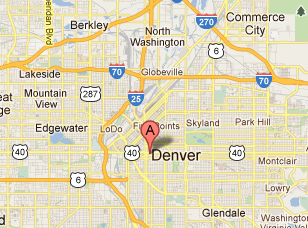 What’s so bad about Denver? Nothing, in my book. The city has always inspired me. As a white kid growing up in southeast Denver, I was bused fifteen miles to a Mexican American neighborhood in west Denver for elementary school, and eighteen miles to an African American neighborhood in northeast Denver for middle school due to the Denver Public Schools’ court-ordered busing for desegregation. Attending these schools in neighborhoods different from my own taught me that there are always two sides to a story, if not ten, which inspired the structure of The Ringer. I wrote it from the perspectives of a white, male cop who shoots a Mexican immigrant, and of the victim’s Mexican American wife, whose sons end up playing in the same youth baseball league in Denver. I’ve always seen a potential for stories in the hidden connections between people in different parts of this city. There isn’t as much literary fiction set in Denver as you'd expect given its thriving literary culture. Even though the city is full of writers, many of them choose to set their work elsewhere, perhaps because many residents didn’t grow up here and writers often set their work in the places that they’re from. And Denver has no book festival. We hang our heads in shame before you Omaha; Missoula, Montana; Tucson, Arizona; and Salt Lake City—all home to rocking public literary festivals. Colorado discontinued its grants to writers during a budget crisis over a decade ago, and never brought them back. Several years ago, the National Endowment for the Arts threatened to cut off all grants to Colorado residents due to a lack of arts infrastructure in the state to administer them. Luckily, this never came to pass. Denver is in the midst of a new economic boom, fueled in part by tech and marijuana industry jobs. U.S. News & World Report named the city its best place to live in the United States for 2016. Millennials are flocking here—the city grew by almost 20,000 people last year—and their energy and enthusiasm is spilling over into the literary community. What I like about Denver's literary community most of all is that it’s welcoming. If you’re a writer—whatever you write, wherever you’ve published or haven’t—you’re in. There’s a do-it-yourself spirit inherent to Denver and all of the West, and an egalitarian vibe. All Denver needs is a literary cheerleader. As there have been no other applicants for this position, for the time the job falls to me. So, come along with me on a look at the literary life of my hometown. Thomas Hornsby Ferril was Denver’s first literary cheerleader, a man who loved his city enough to write a whole volume of poetry, 1966’s Words for Denver, published by William Morrow, in its honor. Born in 1896, Ferril lived in the same Victorian house (2123 Downing Street) from 1900 until his death in 1988. Ferril was a respected poet, newspaper columnist, and man about town. Plenty of Ferril’s literary buddies stopped by his house over the years, including Robert Frost, Carl Sandburg, Dorothy Parker, and Jack London. Ferril’s daughter donated the house to Historic Denver, and until recently it was home to the Lighthouse Writers Workshop (more about them later). Currently, the Ferril House is closed to the public, and its future is uncertain. Enough bumming around with nuns—now it’s time for some criminals. Next stop on our tour is the brand new Denver Justice Center (490 West Colfax Avenue). What does this complex of courtrooms and a detention center for inmates have to do with Denver’s literary history? Well, this is the final resting place of the Rocky Mountain News, Denver’s newspaper that published continuously for almost one hundred fifty years; the building it occupied for more than fifty years was torn down to make way for a new jail. Katherine Anne Porter wrote about politics and theater for the Rocky Mountain News in 1918 and 1919. While working for the paper, Porter caught the Spanish flu and nearly died; her hair fell out and grew back in white, but she recovered to write her signature novella, Pale Horse, Pale Rider, which drew on these experiences and was published in 1939 by Harcourt, Brace & Company, long after she left Denver. Not only did the Rocky Mountain News have the best book review section in the region—of course I’m biased because I reviewed books for the Rocky for the last eight years of its existence—but one of the final special projects the Rocky published before it shuttered in 2009 was A Dozen on Denver: Stories. Books editor Patti Thorn commissioned twelve Colorado writers, including Laura Pritchett, Robert Greer, Nick Arvin, and Manuel Ramos, to each write a story set in one of Denver’s decades, beginning with the 1860s. The Rocky published them over three months, and after it folded, Fulcrum Books collected the stories in a beautifully designed volume. Next stop, Cole Arts and Science Academy (3240 Humboldt Street). Why here? Well, I went to middle school here, but more important, half a century before me, Neal Cassady attended Cole, which is situated near Denver’s Five Points neighborhood, dubbed the “Harlem of the West,” where Kerouac went to seek good jazz. (To read some fiction about contemporary life in Five Points, check out the novels of Denver’s Carleen Brice.) Besides inspiring Kerouac, Cassady also was a member of the Merry Pranksters, immortalized in Ken Kesey’s work and Tom Wolfe’s The Electric Kool-Aid Acid Test (Farrar, Straus and Giroux, 1968). Nobody mentioned Cassady when I went to school at Cole—Colorado schoolchildren do not learn about Colorado’s literary past—but I like to think that Cassady’s delinquent spirit still haunted the halls when I was there. Denver is jam-packed with Kerouac, Cassady, and Beat-related spots to visit, such as the house in suburban Arvada where Kerouac lived (6100 West Center Avenue) in 1949; Holy Ghost Church (1900 California Street), where Cassady served as an altar boy; and Sonny Lawson baseball field on Twenty-third and Welton that Kerouac wrote about in part three of On the Road (Viking Press, 1957). Although Kerouac wrote to Allen Ginsberg, “Neal is a colossus risen to Destroy Denver!” he never did get the job done—Denver still stands. Ginsberg made his own mark nearby, founding with Anne Waldman, John Cage, and Diane di Prima the Jack Kerouac School of Disembodied Poetics at Naropa University in Boulder. For loads of information about Denver and the Beats, visit Andrew Burnett’s website, Neal’s Denver, where you can find three different beat-themed tours, one on foot, one by train, and one by car. Tattered Cover is the best bookstore anywhere, and I’ll gladly arm wrestle anyone who thinks different. The store opened in the Cherry Creek shopping area in Denver in 1971, and owner Joyce Meskis since expanded to four locations: the LoDo store (1628 Sixteenth Street), converted from an old warehouse in the revitalized district near Denver’s Union Station and the Rockies’ baseball stadium; the Colfax store (2526 East Colfax Avenue), redeveloped from the old Lowenstein Theater, part of a happening complex that houses Twist and Shout Records and the Denver Film Center; the Littleton store (7301 South Santa Fe Drive), serving a suburban area; and the mini branch in Union Station (1701 Wynkoop Street), which reopened as the refurbished hub of Denver's public transportation in 2014. Even in this time of book tour cutbacks, major publishers still send their writers to the Tattered Cover, where readings and literary events happen at all locations many nights of the week—over four hundred a year. In 2013, the LoDo store consolidated to one store, unfortunately losing its huge lecture hall for readings. (Readings now take place in a corner nook at the LoDo store and in a basement space at the Colfax store.) In 2015, Meskis sold the store to new owners who have promised to keep its spirit intact. Even though the biggest names in literature regularly appear at the Tattered Cover, the staff treats local writers like royalty. The Tattered Cover looms large on the Denver bookstore landscape, but plenty of other indies are worth a visit, especially one energetic new upstart, BookBar (4280 Tennyson Street), in Denver’s hip Highland neighborhood (near where Fante roamed long ago). While a prior bookstore in this neighborhood, Bookery Nook, paired books with ice cream but went under a few years back, BookBar seems to have the formula right: Books and wine. BookBar regularly hosts happy hours, book clubs, readings, and more. Purple on the outside and stuffed to the rafters with used and new books on the inside, West Side Books (3434 West Thirty-second Avenue) keeps it real with a knowledgeable staff and plenty of literary events, mostly featuring local writers, as well as live music, from jazz to flamenco. One of the most fun days I’ve spent in Denver was when I tried to find all the required books for my college lit classes at the string of used-book stores on Broadway. Some stores have closed since then, but my favorites that remain include Fahrenheit’s Books (210 South Broadway), a well-organized bookshop run by knowledgeable proprietors. Broadway Book Mall (200 South Broadway), which took over the longstanding Denver Book Mall, houses ten separate booksellers in one store, and offers free dog treats. A fellow former Rocky Mountain News book critic, Dan Danbom, opened Printed Page Bookshop (1416 South Broadway) with Nancy Stevens in 2009. It specializes in used books of all kinds—bargains as well as collectibles—and annually hosts a Banned Book Week contest and exhibit of classic editions of banned and challenged books. Kilgore Books and Comics (624 East Thirteenth Avenue) is a good place to linger, chat with the owners, and peruse the work of small press cartoonists, such as Nick Maandag and Mardou. Kilgore is located along the Thirteenth Avenue corridor of cool next to Wax Trax Records where I went as a teenager to score used CDs and concert T-shirts and across from FashioNation, where I would buy my blue Manic Panic hair dye. Kilgore fits right in with the cluttered, creative, and counter-cultural vibe of these stores. Plus, Kilgore publishes indie comics and its own journal, Kilgore Quarterly. A recent trend on the Denver bar scene is speakeasy taverns, and a few years ago a new bookstore-themed 1920s-style speakeasy, Williams & Graham (3160 Tejon Street), opened in Highland. My writing group and I visited it immediately, before prohibitionists could raid it. From the street, it looks like a bookstore, with a window showcasing vintage books, and a sign on the door that reads, “Williams & Graham Booksellers.” At the entrance stands a bookcase stocked with books about old-fashioned cocktails and what Westword described as the “works of famous drunken authors” for sale. Past the bookcase is the bar, which is full of 1920s details, including one bartender sporting a handlebar moustache. If you’re lucky, you can score a cozy quilted leather-backed booth, but more likely you’ll find yourself standing at the bookshelf/banquette in the middle, ordering nostalgic cocktails. (The books lining this banquette are not from the 1920s—I noticed a copy of Freakonomics once.) My Old Fashioned was potent and tasty, though one of my writing buddies, who randomly selected her drink off the menu, noted that hers tasted like “armpit and the inside of a whiskey barrel.” But the attentive waitstaff make Williams & Graham a friendly place, and they were glad to recommend a drink that suited her better. Denver even boasts a book-themed brewery and tap room, Fiction Beer Company (7101 East Colfax Avenue). Pull up a stool and they'll pour you a beer named after a quote from Jack Kerouac about the denizens of Denver, Old Bums & Beat Cowboys pale ale, or another inspired by H. P. Lovecraft, New Age Lovecraft red saison. Denver’s Lighthouse Writers Workshop (1515 Race Street), situated in an expansive Victorian house with a welcoming porch, is involved in just about every literary happening in the city: collaborating with dance company Wonderbound on performances that combine poetry and dance, Poetry Out Loud, and with several Denver public schools, offering writing programs to students. Founded in 1997 by fiction writer Andrea Dupree and her husband, poet Michael J. Henry, as an independent creative writing center, Lighthouse hosts a diverse roster of workshops offered as half-day seminars, one-day classes, or eight-week sessions in genres such as fiction, nonfiction, poetry, and screenwriting to adults and youth of all ages and levels of experience. Lighthouse also offers a summer writing camp for kids; mountain writing retreats; the annual Lit Fest in June—a summer flurry of classes, panel discussions, and parties—the Fly-By Writer’s Project, which brings up-and-coming writers to Denver for craft classes and discussion (recent guests include Roxane Gay, Rebecca Makkai, and Cristina Henríquez); and Inside the Writer’s Studio, for which Lighthouse hosts a well-known writer for a weekend of activities: an interview about the writer’s craft held in a packed auditorium, a dinner with the author, and a craft lecture. Anyone can buy tickets to individual events or a pass to all three; discounts are available to Lighthouse members. Last year’s guests included Michael Ondaatje and Kazuo Ishiguro. Colson Whitehead, George Saunders, Jennifer Egan, Lorrie Moore, Francine Prose, and Tobias Wolff were honored in past years. Lighthouse’s parties are some of the best places to mingle with book-minded people in Denver. Lighthouse’s faculty includes dozens of accomplished writers who’ve published in the New Yorker and the Atlantic, and who’ve won Wallace Stegner fellowships, Pushcart prizes, and Colorado Book Awards. Many of Lighthouse’s students boast equally impressive achievements. The Mile High MFA is a new low-residency creative writing program at Regis University in north Denver, which kicked off in 2016. It regularly hosts readings by visiting writers such as Sherman Alexie, Meg Kearney, and Amina Gautier. Faculty members include Sophfronia Scott, Daniel José Older, Khadijah Queen, Rachel Weaver, Eric Baus, Kathy Fish, Heidi Pitlor, Helen Thorpe, and Chip Livingston. During its residencies in January and July, free readings are held on the Regis University campus and elsewhere. The University of Denver is home to one of the first creative writing programs in the country offering a PhD, founded in 1947. John Williams, author of Stoner (Viking Press, 1965) and founder of Denver Quarterly, was an early faculty member. Mona Awad, author of 13 Ways of Looking at a Fat Girl (Penguin Books, 2016), is a current PhD student. DU hosts the Pen and Podium lecture series, bringing illustrious writers such as Zadie Smith, James McBride, and T. C. Boyle to the Newman Center for the Performing Arts on its south Denver campus. While the Rockies and Nuggets never seem to bring home a championship title, Denver’s performance poets always manage to get the job done. The Mile High City is a slam-poetry powerhouse, home to Andrea Gibson, winner of the 2008 Women of the World Poetry Slam championship; Dominique Christina, 2012 and 2014 Women of the World Poetry Slam Champion; Amy Everhart, individual winner of the 2009 World Poetry Slam championship; and Slam Nuba and Mercury Slam, the National Poetry Slam championship teams for 2011 and 2006, respectively. Additionally, the Minor Disturbance Youth team won the 2012 and 2013 Brave New Voices Youth World Championships. Could it be that training at a high altitude expands the lung capacity of our performance poets? Whatever the reason for their excellence, you can catch the reigning Slam Nuba, led by Slam Master Johnny Osi, at several events a month. Marilyn Megenity’s Mercury Café (2199 California Street) has been a hotbed of literary activity for decades, fitting in regular poetry readings (Fridays), slams (Sundays), and storytelling nights (throughout the month) among dance classes, community fund-raisers, film festivals, concerts, and tarot readings, while serving up organic and vegetarian dishes. The F Bomb Flash Fiction Series highlights prose writers who can deliver a story in a thousand words or less. Readings, held regularly at the Mercury Café, feature flash fiction stalwarts such as Jeff Becker, Kathy Fish, Meg Tuite, Robert Vaughan, and Hillary Leftwich, as well as open mic participants. Su Teatro (721 Santa Fe Drive), Denver’s long-running Chicano community theater (the third oldest in the nation), began in 1971 as a student theater group at the University of Colorado in Denver. Su Teatro carries on Denver’s tradition of Chicano poetry, ignited in the 1960s by activists and poets Abelardo “Lalo” Delgado and Rodolfo “Corky” Gonzales, by creating and performing a variety of plays throughout the year, such as one of its biggest hits, an adaptation of Rudolfo Anaya’s Bless Me, Ultima (TQS Publications, 1972). Su Teatro hosts the Neruda Poetry Festival and Barrio Slam spoken-word competition each spring. Nationally touring slam poet Bobby Lefebre, who has acted in many Su Teatro productions, cofounded Café Cultura in 2004, an open-mic poetry night at La Academia (910 Galapago Street) that encourages Latino and Native American youth to share their work alongside established writers and poets. Café Cultura offers the free Xpress Yourself Spoken Word Workshop the last Saturday of each month from 11:00 AM to 12:30 PM, and an open-mic night the second Friday of each month from 6:30 to 9:30 PM. In the summer, Café Cultura throws Art in the Park at the La Alma/Lincoln Park Amphitheater (Twelfth Avenue and Osage), showcasing the work of youth participants in its classes. Stories on Stage, which presents accomplished actors reading stories by writers such as Alice Munro, William Faulkner, and Chimamanda Ngozi Adichie, performs at several venues throughout the season including Su Teatro. Each performance groups three or four stories that fit a theme, such as Dogs vs. Cats or Things That Go Bump in the Night, and every year, Stories on Stage teams up with Lighthouse Writers Workshop to perform an unpublished work by an up-and-coming Denver writer. The Denver Center for the Performing Arts (1101 Thirteenth Street) frequently commissions playwrights to adapt the work of local writers for the stage. So far, it has presented plays based on Haruf’s Plainsong (Knopf, 1999) and Eventide (Knopf, 2004), both adapted by Eric Schmiedl, and playwright Karen Zacarías adapted the first book by Denver journalist Helen Thorpe, Just Like Us: The True Story of Four Mexican Girls Coming of Age in America (Scribner, 2009). Lit Crawl, which began as a part of San Francisco's Litquake in 2004, will be branching out to Denver for the first time on September 2, 2016, in the Tennyson district, featuring a roving group of literature fans moving from reading to reading at six venues from 6:00 to 11:30 PM. Lighthouse Writers Workshop, the Mile High MFA, Bookbar and more will represent. Rocky Mountain Fiction Writers, a nonprofit, volunteer-run organization, helps commercial fiction writers thrive at high altitude, hosting critique groups, a newsletter, literary events, and the annual Colorado Gold Fiction Conference every September. The Denver Woman’s Press Club (1325 Logan Street) was founded in 1898 and has occupied the same historic clubhouse since 1924. Members regularly host seminars, writing contests, and readings by authors such as Barbara Kingsolver, Annie Proulx, and Alexandra Fuller. Members are proud to talk about the Denver Woman’s Press Club’s history and past members, including Mary Coyle Chase, the Pulitzer Prize–winning playwright of the 1944 play Harvey. Denver Woman’s Press Club often hosts readings by out-of-town writers visiting Denver—men and women alike—just e-mail them to let them know you’re interested in speaking. The Denver Press Club (1330 Glenarm Place) has hosted journalists and creative writers since 1867, and sponsors a variety of readings, special events, and its annual Damon Runyon Award banquet that began by honoring Jimmy Breslin in 1994 for his contribution to the field of journalism. The award is named in honor of Damon Runyon, who made his name in New York City, but grew up in part in Pueblo, Colorado, and got his start as a journalist at the Denver Post and Rocky Mountain News. Recent winners have included Anna Quindlen (2011), Katie Couric (2014), and Jill Abramson (2016). The event is open to the public. The Colorado Center for the Book, part of Colorado Humanities, sponsors the Colorado Book Awards every year for books with a local connection, as well as programs for kids: Letters About Literature and Writers in the Schools. The Colophon Center is a brand-new collaboration to support the publishing industry in the West. It's so new, it doesn't have a location yet, so stay tuned. Derek Lawrence, the owner of Corvus Publishing Group and Imprint Group; Fred Ramey, the copublisher of Unbridled Books; and Caleb Seeling, the owner of Conundrum Press and Samizdat Creative, are teaming up to open the Colophon Center, which will provide an event space for events and classes, coworking space for local publishers, a library of local books, a gallery for book arts and more. Its aim, according to a press release, is "to increase the presence of the literary arts in the community; to bring wider attention to the diverse writing communities in the region; and to expand regional publishing capacity through a variety of incubation programs and cooperative publishing development opportunities." Seeling said, “The possibilities for developing a stronger publishing presence in Colorado and across the West are great right now." The Colophon Center plans a kickoff celebration for September. Finally, whenever I can, I like to join the Denver branch of the Literary Ladies Luncheon, organized by novelist Karen DeGroot Carter, for lunch on the first Friday of every month. The members include literary agents, editors, and authors who write literary fiction, self-help books, young adult novels, women’s fiction, paranormal mysteries, science fiction, nature guides, and more. Like I said, in Denver, if you’re a writer, you’re in. Come eat with us. You can’t visit the offices of most of Denver’s local presses, but they do add to the bookish vibe of our city, which, by the way, ranked sixth (above New York City and Portland) in Jack Miller’s 2016 list of the seventy-five most literate U.S. cities and has been in the top ten for all the years that this study has been conducted. Fulcrum Books, based in Golden, emphasizes beautiful design in its award-winning titles. In addition to A Dozen on Denver, Fulcrum has recently published Trickster: Native American Tales, A Graphic Collection, a gorgeous anthology of Native American trickster tales illustrated by graphic novelists; Migration Patterns, the debut collection of short stories by Gary Schanbacher, which was a finalist for the 2008 PEN/Hemingway Award; and Cruisin’ the Fossil Freeway: An Epoch Tale of a Scientist and an Artist on the Ultimate 5,000-Mile Paleo Road Trip, a hilarious and inventive collaboration between Kirk Johnson, formerly the chief curator of the Denver Museum of Nature and Science, and the artist Ray Troll. Literary entrepreneur Caleb Seeling, publisher of Conundrum Press, has been turning out high-quality books for many years. Conundrum recently published Patriarch Run, the debut literary thriller by local writer and high school teacher Benjamin Dancer, The Western Lonesome Society by Colorado writer Robert Garner McBrearty, and Islanders by local poet Teow Lim Goh. Conundrum publishes “regional voices with universal stories,” and donates ten percent of its book sales to local organizations with literary and educational goals. Fred Ramey and Greg Michalson founded indie publisher Unbridled Books in 2003 after working together for BlueHen Books, a former literary imprint of Putnam. Ramey is based in the Denver area, and Unbridled frequently publishes the books of Western authors, such as New Mexico’s Rick Collingnon and Montana’s David Allan Cates, and one of my favorite novels of 2010, David Bajo’s fascinating, surreal Panopticon, set on the California-Mexico border. The University of Colorado at Denver is home to Copper Nickel, a literary magazine founded by Jake Adam York, whose poetry collection Abide (Southern Illinois University Press, 2014) was a posthumous finalist for the NBCC award. Copper Nickel's writing has been featured in the Best American Poetry and Pushcart Prize anthologies. The 2016 edition of the Best American Short Stories will include a story by Lisa Ko first published in Copper Nickel. You can visit Counterpath Press (7935 East Fourteenth Avenue), founded by Julie Carr, who won a National Endowment for the Arts fellowship in poetry, and her husband Tim Roberts at their gallery and event space. Counterpath Press publishes experimental and avant-garde work, including I Love You Forever, No Matter by Robert Fitterman, Position Paper: New and Selected Poems by Carol Snow, and Farther Traveler by Ronaldo Wilson. Counterpath also hosts many exhibitions, performances, and readings in its space and sells small press titles in its bookstore. To find out about all the literary magazines in the region and beyond, check out the Denver Zine Library (2400 Curtis Street), founded in 2003. Its archives include more than 15,000 independent and alternative zines, one of the largest collections in North America. Archives are open Saturdays and Sundays from 11:00 AM to 3:00 PM or by appointment. Every year, the Zine Library hosts Denver Zine Fest. In 2016 the event will take place on June 25 at Christ Church United Methodist (690 Colorado Boulevard). One of my favorite places to write and research is the Central Denver Public Library (10 West Fourteenth Avenue), an inviting building designed by Michael Graves located next to the Denver Art Museum (100 West Fourteenth Avenue). When I lived in an apartment so stifling in the summer heat it reminded me of the metal shack Alec Guinness is confined to in The Bridge on the River Kwai, I’d walk to the library and spend the day in the air-conditioned comfort and pleasant surroundings. Study desks with Graves-designed lamps ring the central atrium on several floors. The magazines and periodicals room has a huge picture window with a spectacular view of the mountains and comfortable areas for research. The Western History and Genealogy department is a marvel—you feel that all the stories of the past are at your fingertips as you wander between looking at old maps and photos of Denver and requesting newspaper clipping files on different historical topics. When I was researching my novels, I loved ordering up a clipping file on, say, busing in Denver, and receiving a low-tech manila folder of old articles to flip through. But many of the department’s resources have been digitized since then, and you can now search the records online. The Blair-Caldwell African American Research Library (2401 Welton Street), one of the only research centers of its kind in the country, contains a treasure trove of material related to African Americans in early Denver and in the West, including photos, letters, diaries, and oral histories. The third-floor gallery hosts exhibits and special events, such as “Moving Toward Liberation: The Freedom Riders." The Rocky Mountain Land Library is the two-decade labor of love of Jeff Lee and Ann Martin, booksellers at the Tattered Cover who have amassed a collection of over thirty-two thousand books about the land, environment, people, and authors of the West. In 2013, the library leased Buffalo Peaks Ranch in Garo, Colorado, and since then Lee, Martin and book-loving volunteers have been hard at work turning it into a research library with a visitor's center and residential space for visiting scholars and writers. Lee and Martin host the Rocky Mountain Land Series talks at the Tattered Cover and a variety of workshops at Buffalo Peaks. The Stephen H. Hart Library and Research Center at the newly refurbished History Colorado Center (1200 Broadway) offers access to archives, photos, and artifacts related to the history of Colorado and the West. It's free and open to the public Wednesday through Saturday from 10:00 AM to 2:00 PM. Old South Pearl Street, filled with restaurants and unique boutiques, is one of the most fun places to wander in Denver. Stella’s Coffee Haus (1476 South Pearl Street) is the street’s friendly, labyrinthine coffee shop, with porch seating for sociable types, cozy nooks for those seeking quiet, and shelves full of books to peruse. You’ll find writers scribbling at the round tables of Pablo’s (630 East Sixth Avenue), which roasts its own coffee and features the work of local artists on its walls, and at St. Mark’s Coffee House (2019 East Seventeenth Avenue), open—and busy—from 6:30 AM to midnight. Boulder is thirty miles away from Denver so the two cities’ literary scenes are intertwined; writers who live in one city teach in the other, and give readings in both. Boulder appreciates writers and literature, and it’s crawling with professional writers. If you walk down the outdoor Pearl Street Mall on a weekday, you’ll see coffee shops filled with people pounding away on laptops like worker bees in some kind of massive telecommuting hive. In Boulder, you can take writing classes from the Boulder Writers Workshop or the Lighthouse Writers Workshop’s Boulder branch, or enroll in Naropa University’s Summer Writing Program. The Boulder Book Store (1107 Pearl Street) is the well-stocked center of downtown life with a beautiful converted ballroom upstairs where over one hundred fifty readings a year are held. Crowds have diminished since the store started charging five bucks to attend readings a few years ago. Innisfree Poetry Bookstore (1301 Pennsylvania Avenue), according to Publishers Weekly, is only one of three all-poetry bookshops in the country (along with Seattle’s Open Books and Grolier Poetry Book Shop in Cambridge). Innisfree hosts readings, open mics, and general outpourings of poetry enthusiasm. The Book Worm (3175 Twenty-eighth Street, #2) is the place for used books—they have a great selection of fiction, children’s books, and foreign language titles. Beat Book Shop (1200 Pearl Street, Suite 10) keeps the spirit of the Beats alive in a town Ginsberg loved and hosts a poetry reading series at the Laughing Goat Coffeehouse (1709 Pearl Street) next door. Trident Booksellers and Café (940 Pearl Street) sells used books and good coffee, and is packed until it closes at 11:00 PM. The Jaipur Literature Festival, the world's largest free literature festival, was first held in 2006 at Diggi Palace in Jaipur, India. JLF was looking to expand to America, and last year threw its first stateside festival in Boulder. I interviewed JLF's producer Sanjoy Roy for 5280 about why he selected the college town, and he said, “Each time I went back to Boulder, everybody I met was enthusiastic, well-read, and aware of the world and its politics. Our experiences in America, especially in the Midwest, haven't necessarily shown that.” JLF filled the Boulder Public Library and other venues with discussions, musical performances, readings, and more last fall. Visiting writers included Anchee Min, Laila Lalami, and Chitra Banerjee Divakaruni. The organizers aim to make it an annual event, and in 2016 it will be held from September 23 through 25. Denver is no longer the scruffy and rough-edged city that Fante, Porter, and Kerouac found it to be. Successive waves of revitalization have left it burnished and burgeoning. Despite the shuttering of newspapers, the end of local book reviews, and the lack of Colorado grants for writers, Denver’s book lovers have kept its literary spirit alive. To me, these people—a bunch of independent, passionate people who open bookstores, host readings, and launch writing groups and presses in the bootstrapping tradition of those “roaring drunken miners” who founded our city—are the literary scene, and any writer who turns up here is welcome to become part of it.